Why Jewellery ? 3 coming up in 2019! The gallery in Hong Kong has been booked for September 2019. 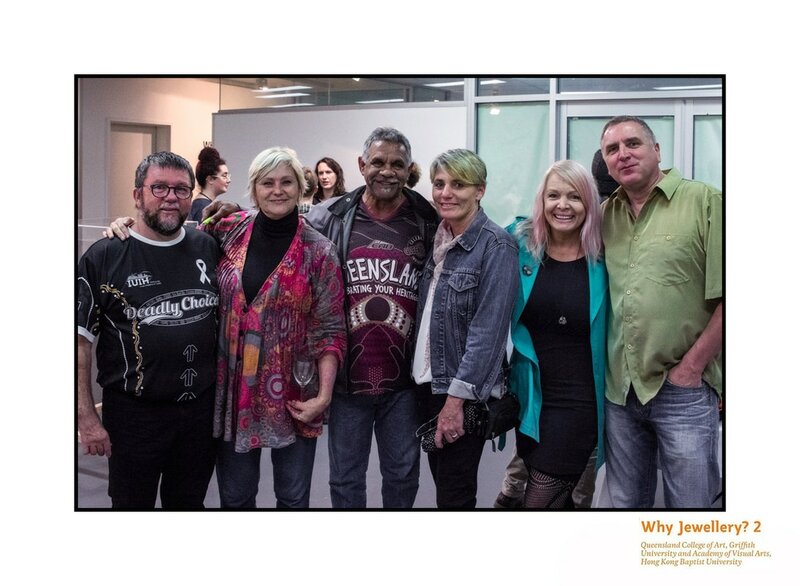 We are waiting to find out about our gallery booking for Brisbane, As soon as we have the Brisbane gallery confirmed the planning for the 2019 exhibition will be shared. As we have more graduates from QCA who will be eligible for inclusion, a call for expressions of interest will be used to aid with the selection process. We are excited to see what the works for 2019 will be. 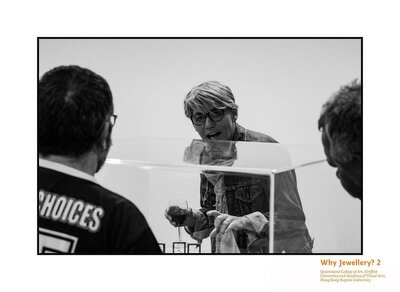 Will there be obvious shared concerns or interests between the exhibitors from both countries? 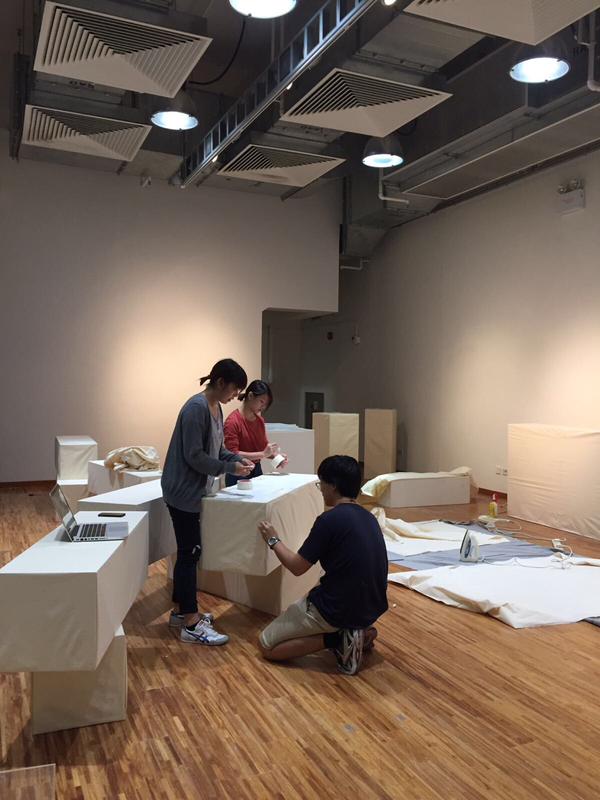 The jewellery team at Hong Kong Baptist University have been busy setting up the exhibition. 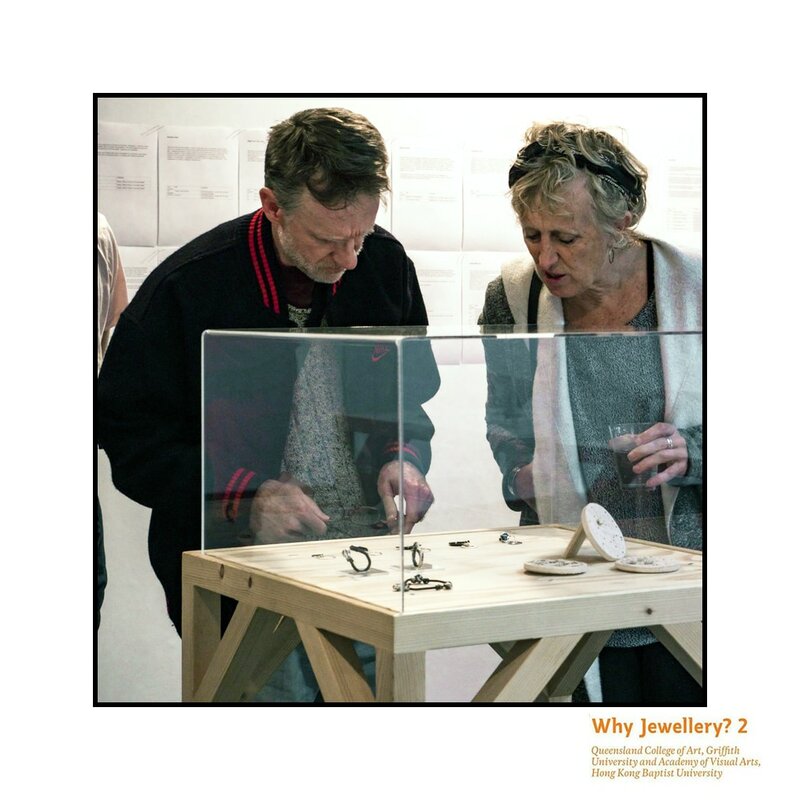 Why Jewellery? 2 is installed and ready for viewing. If you are in Hong Kong please visit! 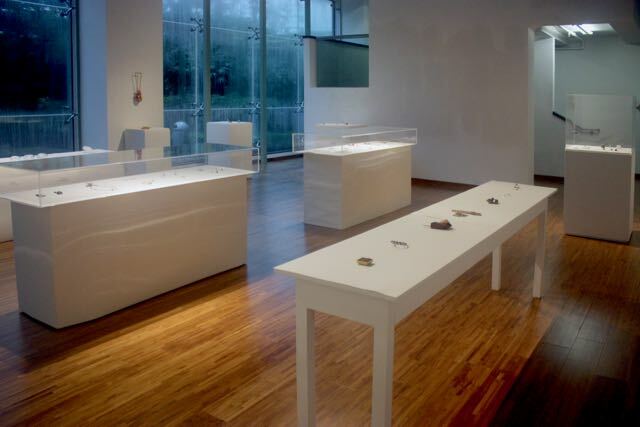 Last days to see Why Jewellery in Brisbane! 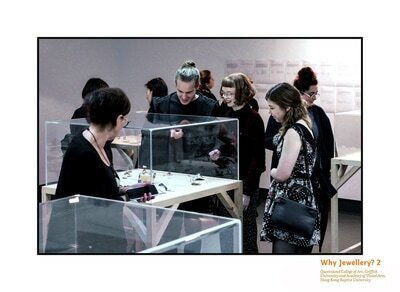 Saturday 1 July is the last day to see Why Jewellery 2 in Brisbane! So if you haven't been to see it yet, you are running out of time. We have received lots of wonderful feedback, it is great to hear that the exhibition is starting conversations. If you miss seeing the exhibition in Brisbane your next and final chance will be in Hong Kong later in the year! Of course our website has images, but we all know it makes a difference seeing jewellery in the flesh. 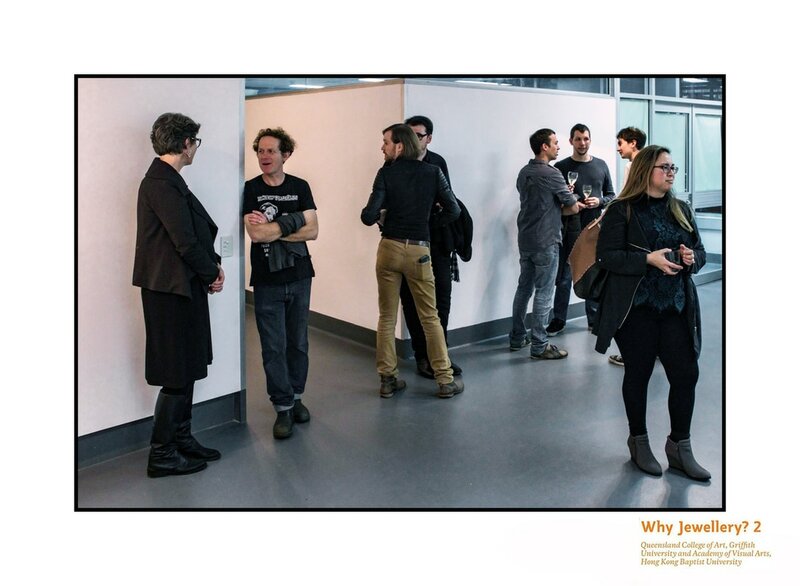 We were really fortunate to have photographer Craig Stewart at the opening to capture the excitement. Craig took all of the photos in this posting. We have received enquiries about purchasing works. 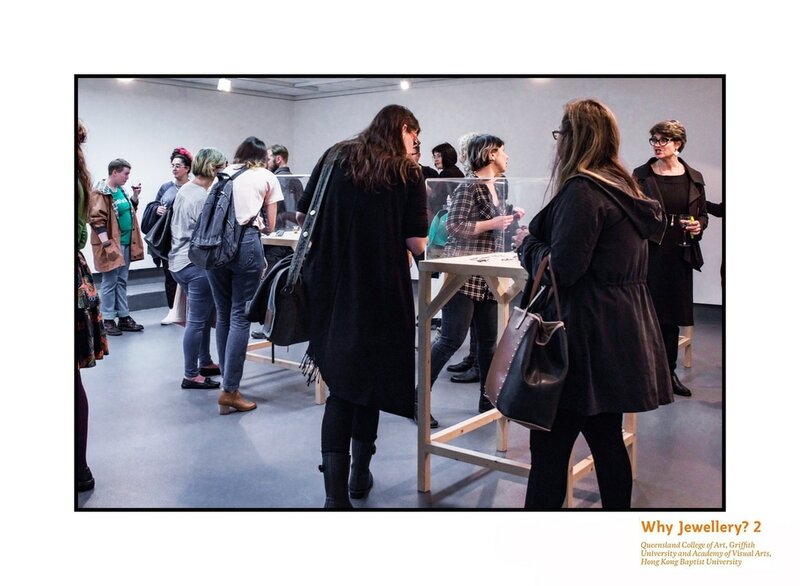 The exhibition isn't a selling exhibition, but, we can pass on enquiries to the artists. Some artists may have similar works available and others may be happy to sell to you provided you can wait until the exhibition closes in Hong Kong. After a marathon effort the exhibition is installed and ready for the public! Marathon is a slight exaggeration, we had a great team of enthusiastic helpers. 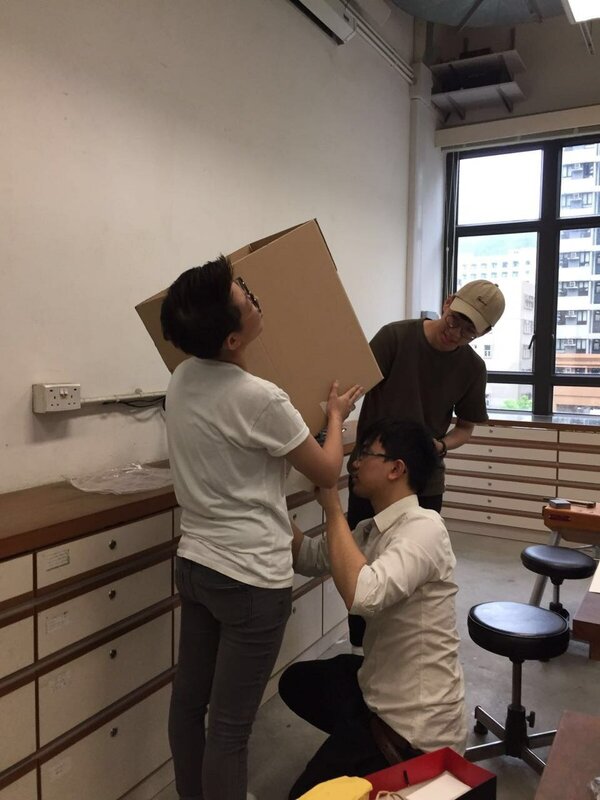 It was exciting to unpack the works from Hong Kong and to look for relationships between all of the works to plan the install. The opening is on Wednesday 14 June 6-8 pm. We hope you'll join us! 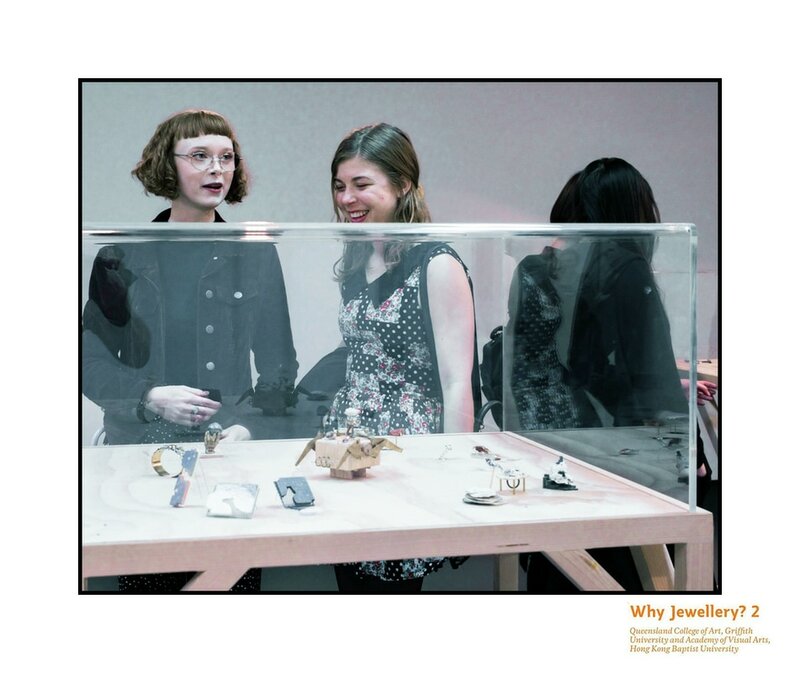 Why Jewellery will open in Brisbane soon! Yippee the works from Hong Kong are on their way! 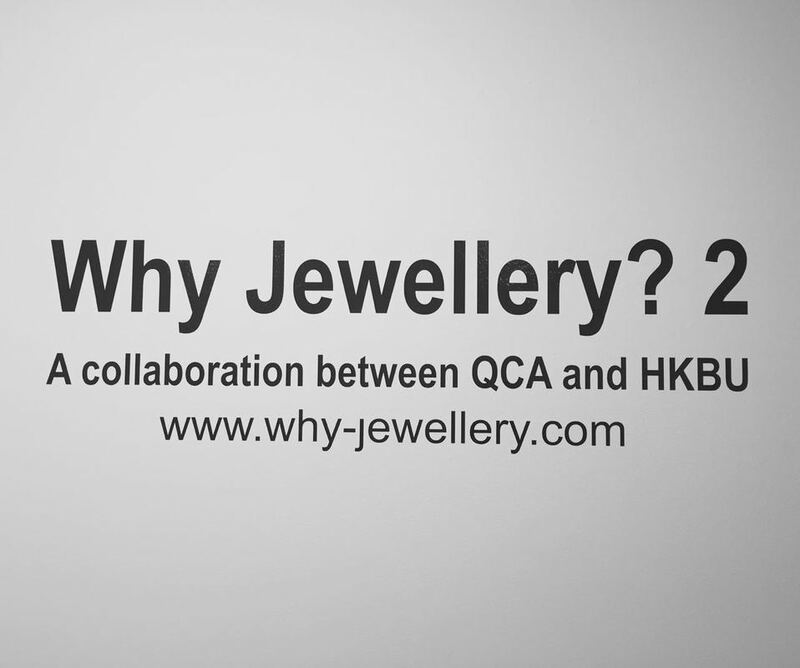 Why Jewellery? will be open to the public from Tuesday 13 June. The official opening will be on Wednesday June 14 at the Project Gallery Queensland College of Art Griffith University Brisbane. 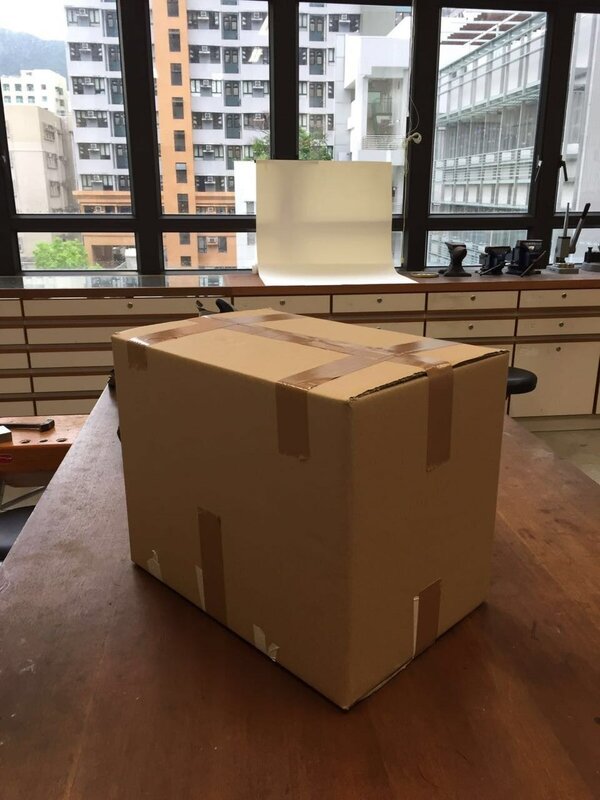 At Hong Kong Baptist University the works have been carefully packed ready to ship to Queensland College of Art Griffith University. The parcel is sealed and ready for shipping. 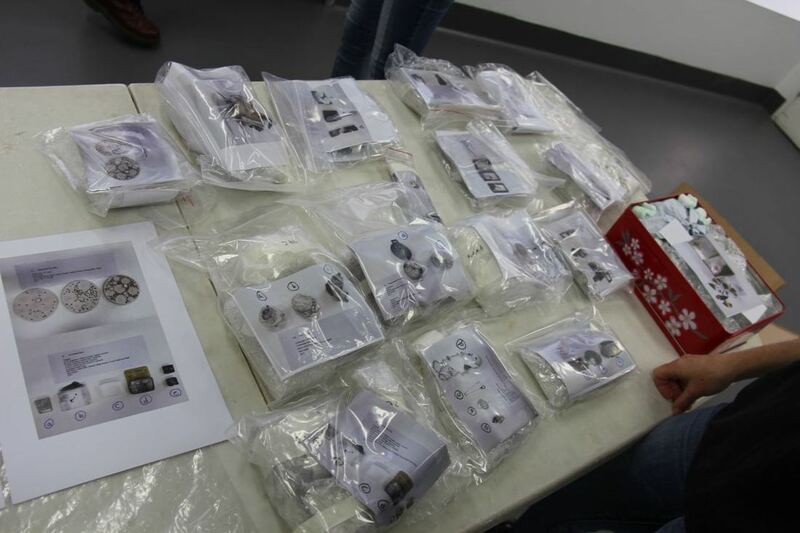 We are looking forward to receiving the HKBU works. 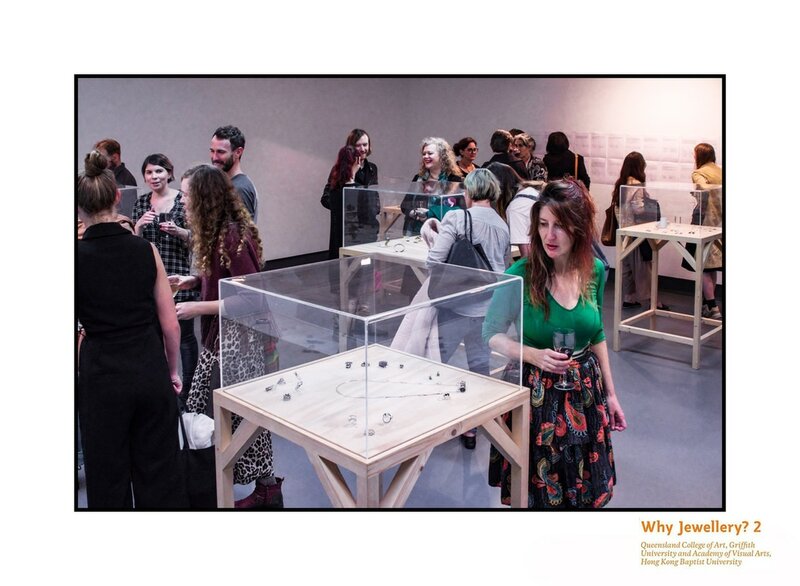 Recent graduates and current third year students in the Jewellery & Small Objects major at Queensland College of Art Griffith University have been invited to submit their expression of interests to exhibit in the 2017 Why Jewellery? exhibition. In 2017 the exhibition will open first in the Project Gallery at QCA. The Hong Kong gallery booking is for September 2017. 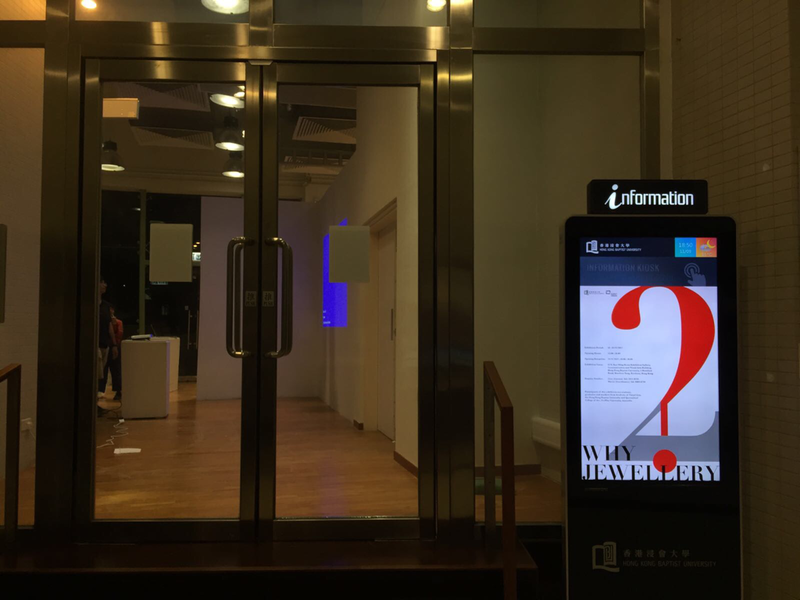 The exhibition will be shown in Koo Ming Kown Exhibition Gallery. The expressions of interest are due 30 April. 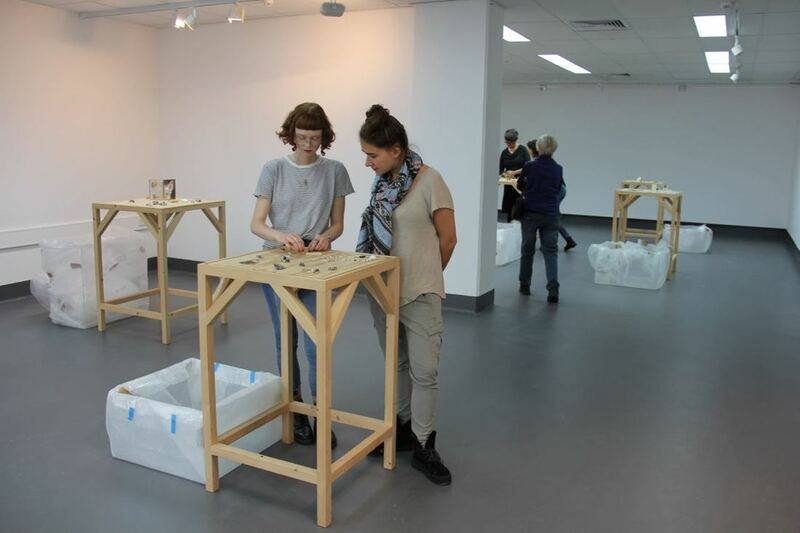 13 artists will be selected from drawn from the current QCA 2017 3rd years and graduates from the last two years. To be considered you must complete the expression of interest form and email it with your images to jsoexhibitions by 30 April. 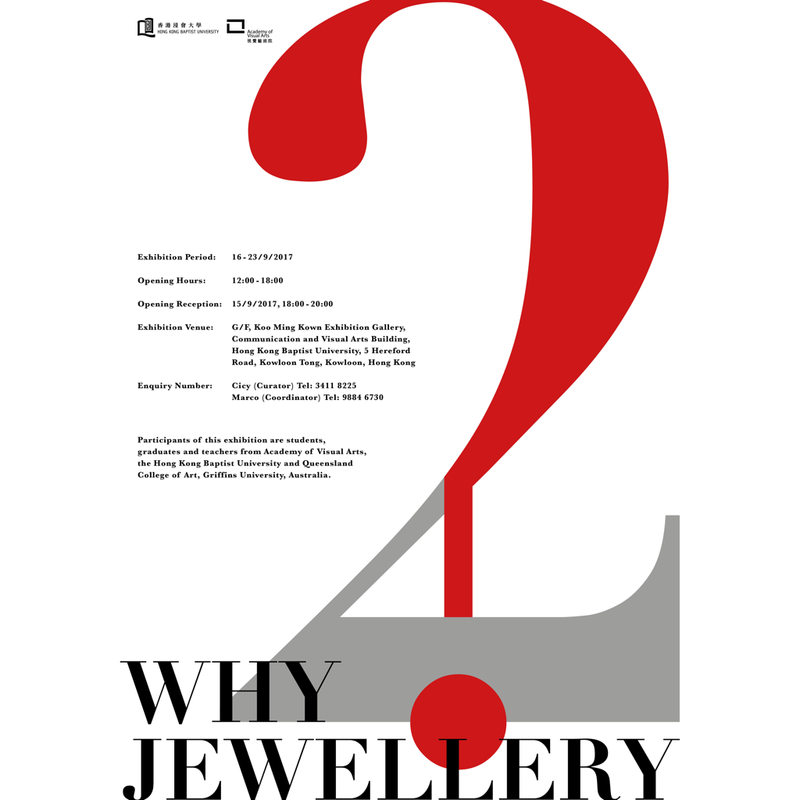 We are pleased to announce that Why Jewellery #2 is in planning to be launched mid 2017. This time the exhibition will debut in Brisbane before touring to Hong Kong. 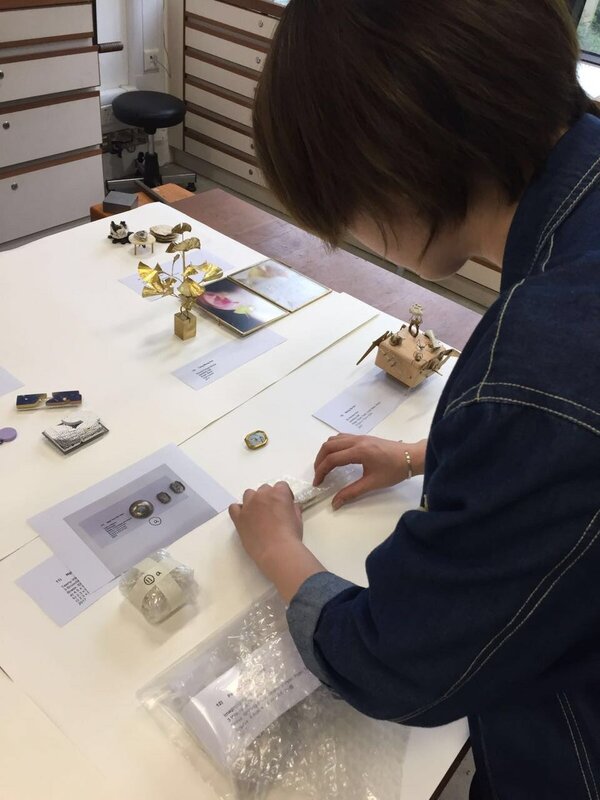 We will post more details soon, but what we can tell you now is that the exhibitors will be selected from the current students and alumni of the Jewellery Studio at AVA Hong Kong Baptist University and from Jewellery and Small Objects at QCA Griffith University. Thank you for coming to the opening! We had a good turn out for the opening, thank you to everyone who came. 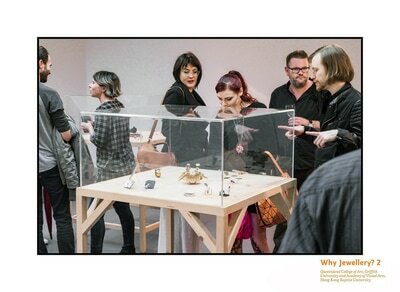 Please join us on Friday night for the Brisbane opening of Why Jewellery? 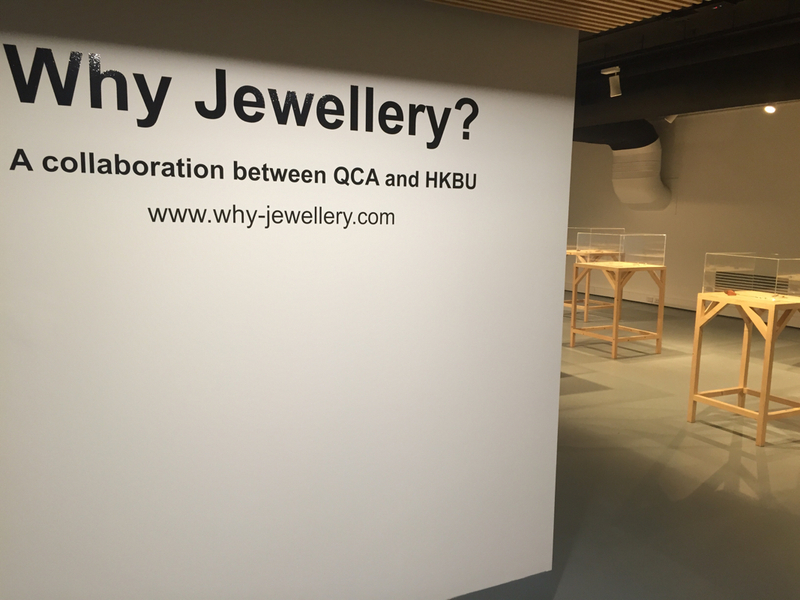 Students, graduates and staff from HKBU and QCA are exhibiting. 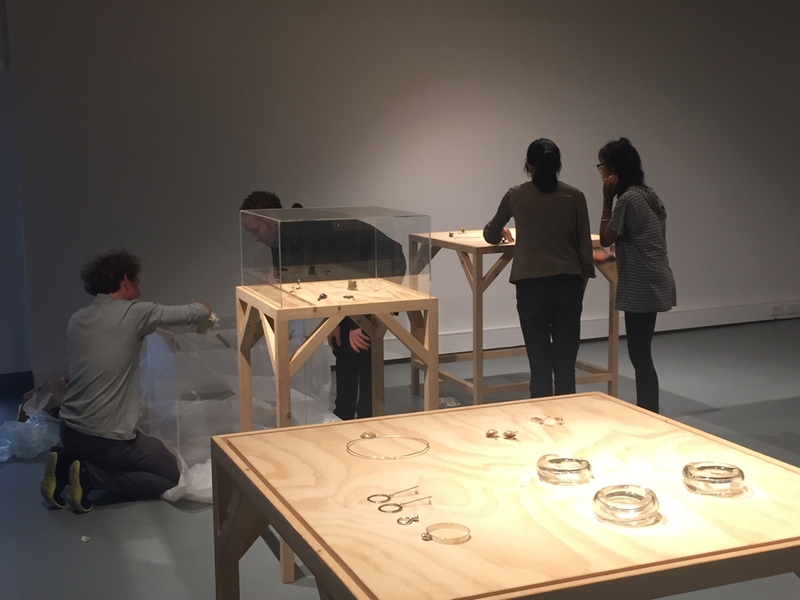 The exhibition is almost installed! 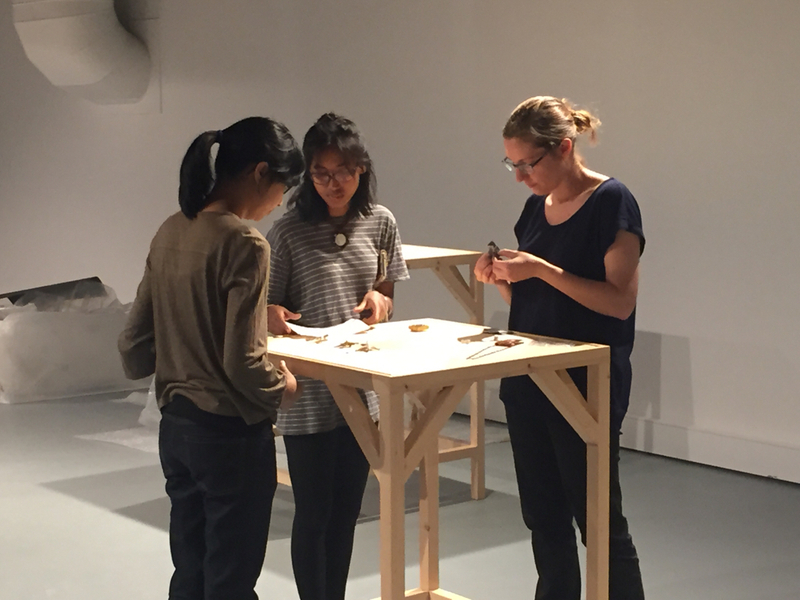 Marian, Soriya and Beth installing work. 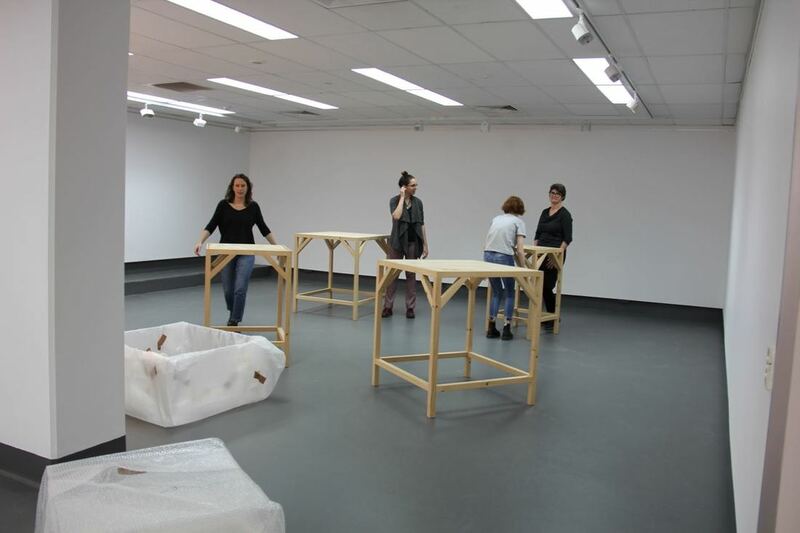 It was fun to unpack the boxes of work to reveal the pieces for the exhibition. Nick and I had seen them all before in Hong Kong, but for everyone else helping it was exciting to see the works from HKBU for the first time. 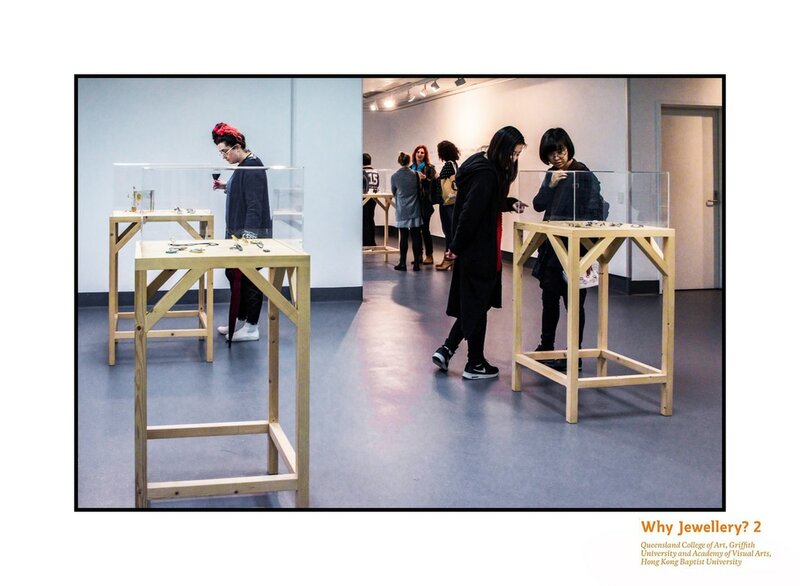 There are some definite similarities between the ideas being explored through jewellery. The materials being used are diverse. And appear to be used for both their aesthetic and symbolic value. There are, as would be expected, works in metal, silver, copper, brass and gold. There are works with gem stones and enamel. But there are also pieces that feature photographs, tooth picks, desposible lighter heads, hair and throw away plastic. The works that have originated from two different university departments in different countries sit well together to make an impressive exhibition.